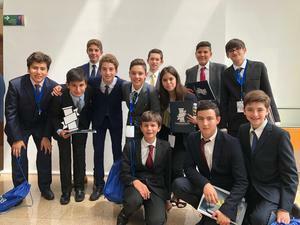 Our 8th graders participated in an IPADE event. An amazing experience! We are proud to announce that eight of our 8th graders participated in an event at IPADE Business School held by Liceo de Mty. Our students had a great learning experience and won numerous awards. We had five students from the Valle Campus and three from the Sur Campus.